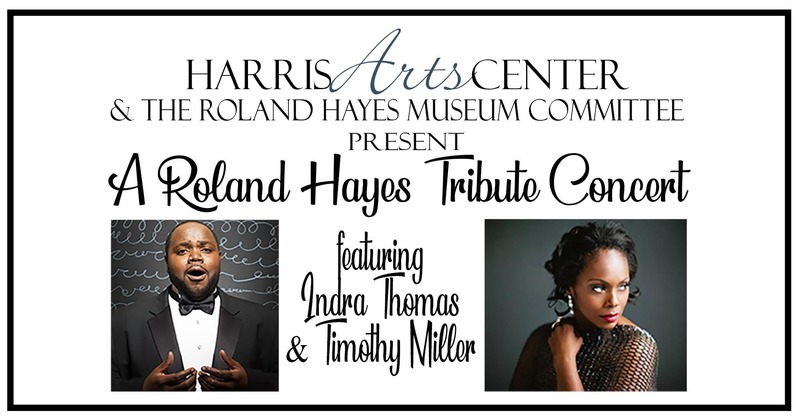 The Harris Arts Center and Roland Hayes Museum Committee are proud to announce “A Roland Hayes Tribute Concert featuring Indra Thomas and Timothy Miller”. 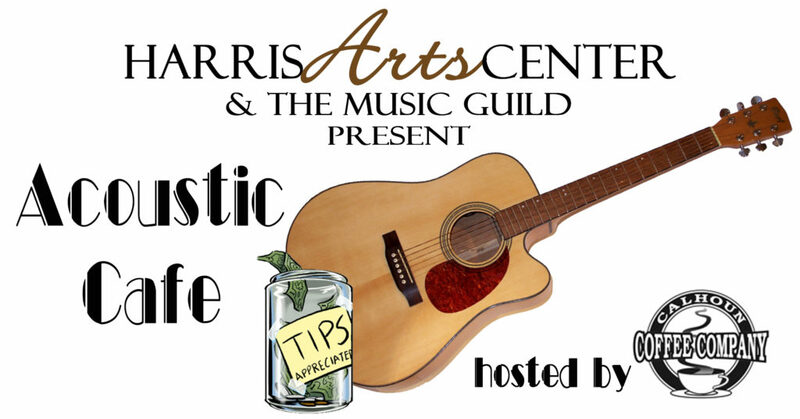 Join us Sunday, February 17 at 3p.m as we honor the legacy of Roland Hayes through music with an opportunity to meet the artists at a reception after the concert. Considered one of the foremost Aida’s in the world today, Ms. Thomas has performed at many of the world class opera houses and venues, such as the Metropolitan Opera and the Vienna State Opera; she has performed at prominent venues here in the US, France, Germany, Spain and England, including the Royal Albert Hall and Carnegie Hall. While in her teens, she first came to wide-spread attention when she sang “What a Friend We Have in Jesus” in the funeral scene of the Academy Award-winning film “Driving Miss Daisy”. Later, Ms. Thomas was Emmy nominated for her performance of the “Porgy and Bess Suite” on the New Year’s Eve Broadcast Live from Lincoln Center and also was Grammy Nominated for her recording of Michael Tippett’s “A Child Of Our Time” with the London Symphony Orchestra. A minister’s daughter whose mother was a nurse and gifted, amateur singer, Ms. Thomas was born and raised in Atlanta, Georgia. She is currently on the voice faculty of her alma mater, Shorter University, and is a graduate of the prestigious Academy of Vocal Arts in Philadelphia. Joining Thomas on stage is Timothy Miller. 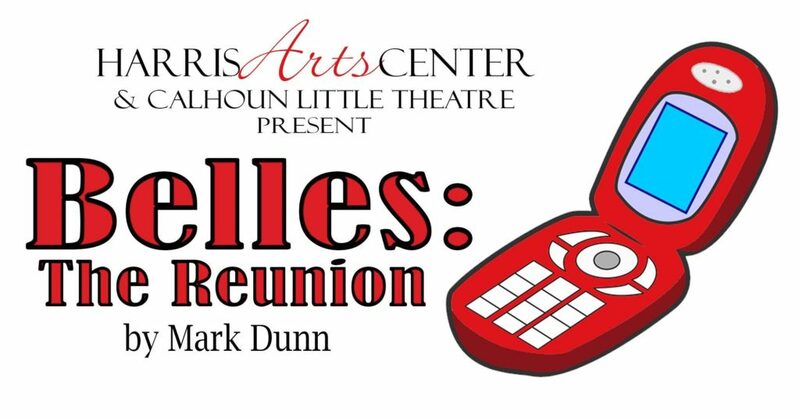 Miller is an active performer with both national and international credits. Perhaps most widely recognized for his stirring renditions of “God Bless America” during the seventh inning stretch of Atlanta Braves home games, Miller has extended his exposure well beyond the concert stage. Soloist for the 2011 Georgia Gubernatorial Inauguration Ceremony and featured artist in the December 2012 edition of The Atlantan Magazine “Patrons and Players” rounds out a growing list of memorable career highlights. In April 2016, Mr. Miller made his debut with the Georgia Symphony as tenor soloist in Beethoven’s ninth symphony. 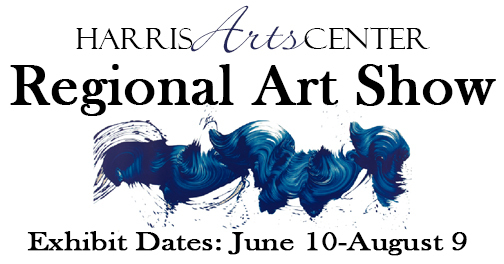 Tickets for this event are $15 General Admission, $12 Seniors/Students, and $10 HAC Members and may be purchased online or at the Harris Arts Center.